The steps to climbing mount everest, get cold. 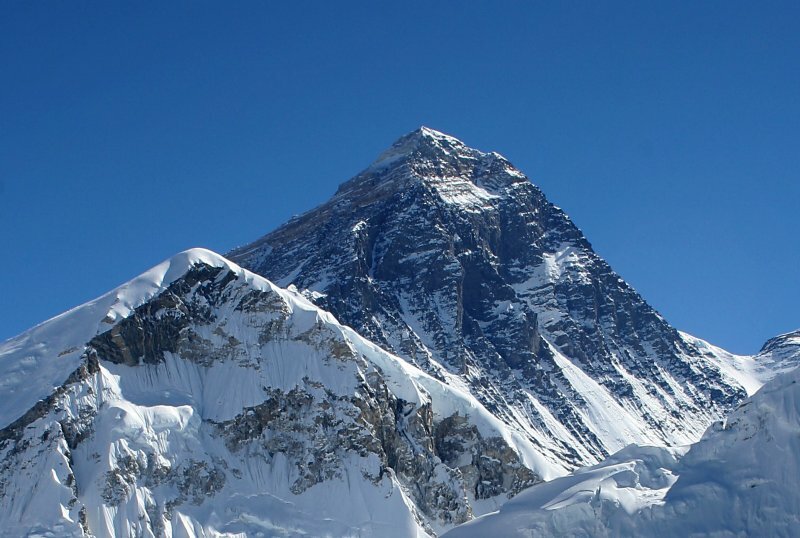 For my first post with progressive I connected the difficulties of climbing Mount Everest with the Kleenex brand. The idea first came to my head because of the dynamics surrounding the task of climbing Mount Everest. It is a very difficult process that involves years of training your body physically and mentally. To get your body into prestine shape to be able to endure a climb that could last up to several weeks. Mount Everest is over 29,000 feet tall and the conditions that one must endure while climbing it are extreme. There are below freezing temperatures, near vertical sections of climbing, ice gaps, lack of oxygen, lack of food and water, short days, long dark nights, and more. Whenever I watched a movie on Mount Everest it always talked about the great percentages of people that did not finish and had to turn back, the people who died on the way to the top, and the people that had to be airlifted out. The common theme that I noticed, along with exhaustion, was the freezing temperatures and checkpoint areas. The freezing temperatures is how I connect kleenex in this idea which will be further explained later, and all of the checkpoints and time training is how I connect the directive of progressive which I will also explain further later. Whenever you watch a video blog or see any type of media from Mount Everest climbs you notice how the climbers prepare to protect themselves from freezing temperatures more than anything else. They are not shown packing food away in their bags, they are rather shown putting on up to 8-10 layers of clothing, gloves, face masks, hats, hand warmers, feet warmers, and more. They place a huge emphasis on fighting the cold which is why I though the brand of kleenex connected so well to Mount Everest. You hear about how people get frost bite or gang green, and when they have interviews you notice how their eyes are ALWAYS wattering, and how their noses are always running on their rosy red faces. The climbers often talk about how they lose feeling in their bodies, particuarly in their faces. Kleenex is designed to fight a cold just like the other precautions the climbers use. When watching video blogs you see climbers whiping their faces off with tissues in order to make themselves look presentable and to keep the snot or drool or tears from freezing on their faces. The climb of Mount Everest is not just something you can get motivated and do, which is why being progressive is so important here. You have to spend years of training to get your body to have the stamina to endure the climb. Before even considering signing up to climb the mountian you have to spend years training and pass a series of test proving your heart rate, lungs, and more are all capable of with standing the extreme conditions that will ineviteably be run into on the mountain. They will not simply let you show up to the base of the mountain and climb it becaue you would surely die. They insure your safety by making sure your body is healthy enough and you are mentally prepared enough because once you start there is no turning back. I think progress is very important in training because I am currently myself training for a marathon. Part of that is running a higher number of miles every week which is slowly making progress to my goal. It takes several weeks but your body gets used to the training and is able to with stand more and more pain as time goes on. Training for Mount Everest is undoubtedly more difficult than training for a marathon so I imagine the training schedule for that would be extremely intense and take a lot of time to steadily build your body up week by week with slow progression. Progression is also key when you actually get to Mount Everest and begin your climb. This is not a climb that you can start early in the morning and finish by sunset. This is a climb that will take weeks. Each day climbers have a goal, and have to move forward and make a certain amount of progress to reach their goal which is the checkpoint. Based on skill there can be several checkpoints after they reach the initial base camp which itself can take 6-8 days to reach. The key to climing the mountain is to continually motivate yourself to make progress nad make it to the next checkpoint and eventually to the top all while withstanding cold and wind and other factors that are dangerous and could make you sick. Everyone knows climbing the mountain is an extremely drawn out enduring process and progression is key in moving forward to your goal, and kleenex could be charished by climbers as they deal with the sickening conditions.